The art centre Exposed was opened in Moscow in November 2013. It implements a unique concept of displaying art objects. Exposed - A Space for Art - is a combination of an art gallery, a shop with art objects and a site for holding lectures, discussions, presentations, concerts, press events and business meetings. 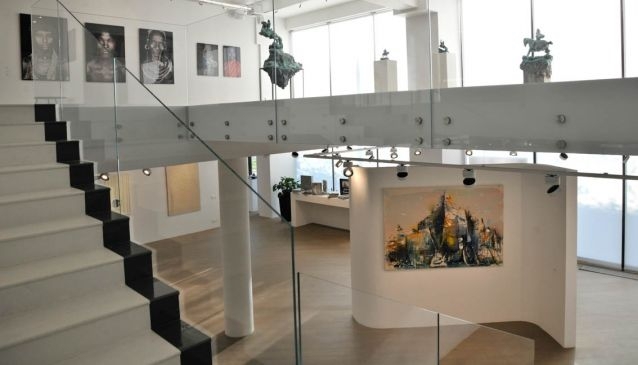 A 2-story exhibition space is split into several areas where works of artists from Argentine and the United Kingdom are displayed along with photographs by German, American and British photographers and sculptures if Russian and South African artists. The art space has its own photo studio on the site. Besides, there is a shop with decorative items, albums and books on art, fashion and architecture. London gallerist Ken Climie and his Russian partners are the investors and authors of the concept. They are confident that thanks to the unique concept the art space will find its audience and become commercially successful. 'Exposed - is a maximum concentration of beauty and different styles in one space. Going through the various parts of the space our visitor as if enters different worlds taking in the art from different points of view. Besides we also try to create here a cosy and home-like atmosphere. Exposed is not a classic gallery where the visitor is separated from the art by all sorts of fences. Our art centre is a road to the world of beauty and harmony,' Ken Climie says.